Global Institute of Health Science is a pioneer in health science education especially in distance & online education. 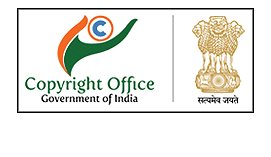 GIHS is an ISO 9001:2008 Certified Institute and have copyright approval from MHRD (Higher Education) Government of INDIA. 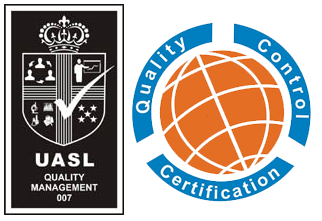 GIHS have certification from UK for Quality Control Management System. Our Programs are designed in a unique and easy way with essential upgrade details. With the support of GIHS programs more than 2000 professionals are working in healthcare industry. We have also strong student & professional base in India, UK, USA, Canada, Russia, and Australia. Global Institute of Health Science is a pioneer in health science education especially in distance & online education. Global Institute of Health Science is the INDIA’s first Online Institute and an ISO 9001:2008 Certified health science Institute, also certified with copyright approval from MHRD (Higher Education) Government of INDIA. GIHS have certification from UK for Quality Control Management System. Global Institute of Health Science offers Health Management Training Courses, Clinical Research Courses, Paramedical Courses, Environment Health & Safety Programs, Ayurvedic Programs and Homeopathic Programs. We have more than 8 years of experience in health science education. Our Programs are designed in a unique and easy way with essential upgrade details. GIHS have grip in more than 40 different health science programs which are internationally designed and compatible with everyone’s need. Through our programs professionals & students can have recent updates on various branches of health sciences. Each one of the Health Science courses are available in different field at different levels so one can afford as per the requirement. GIHS is a wide core platform for All Science Graduates : MBBS (Allopathy), BHMS (Homeopath), BAMS (Ayurvedic),BPT-MPT (Physiotherapist), Occupational Therapist, BUMS (Unani), Nurses(BSc, Msc, GNM,ANM Nursing), Bpharm, Mpharm, Pharmacy, Bsc, Msc, Life science, Medical IT Professionals, Medical Laboratory, Microbiology, Biomedical, Biotech and all professionals working with Hospitals & Healthcare Organizations. Also Engineers, Safety Engineers & Fire Engineers. Global Institute of Health Science have also strong student & professional base in India, UK, USA, Canada, Germany, Russia, New Zealand, UAE and Australia.